File photo of DG ISPR Major General Asif Ghafoor. DG ISPR, Major General Asif Ghafoor helped find a bag for a young man which contained all of his educational certificates and more importantly, critical medical reports of his ailing father who had a brain tumor. In the heart wrenching video, the young man who introduced himself as Shabir Hussain from Skardu Baltistan, was crying and requested everyone to share his video so that it can reach the person who had his bag. “Without the medical reports, my father’s treatment will not be possible”, he implored. Request, please help our this Pakistani brother…. 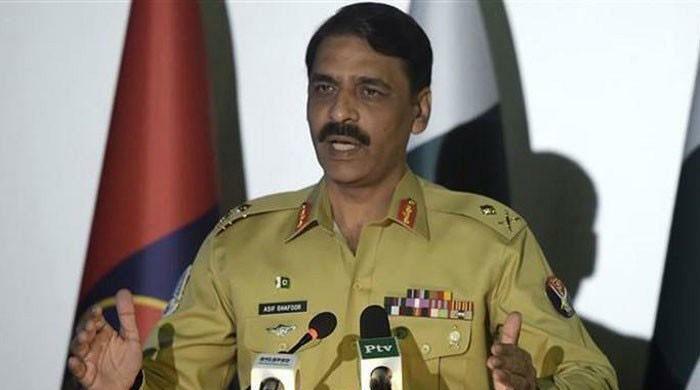 The video made its way to DG ISPR Major General Asif Ghafoor, who shared it from his personal twitter account and requested everyone to help a “Pakistan brother” out. In no time, the post went viral and Mr. Ghafoor tweeted back after two hours with a good news saying the bag had been found and it was being delivered to Shabbir. He thanked everyone including the media for a prompt response. Thanks to all Pakistanis including Media for prompt response. Bag found. Being delivered. That’s being a great and responsible nation. And all assistance in CMH made available to Shabbir. In another tweet, Asif Ghafoor also stressed the need of positive use of social media. Twitteratis were all praises for the kind gesture of Asif Ghafoor. Asif Sahib , you are real champ . Do help him to get his father treated in CMH for cancer . Salute for our Pakistan Army !